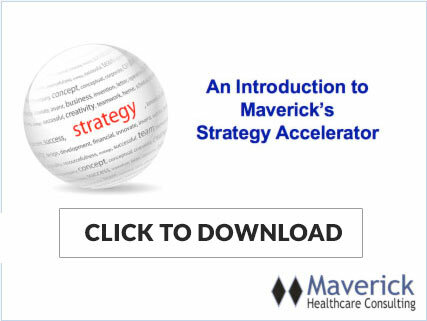 The Maverick Healthcare Consulting approach is far from any “traditional” approach to strategic planning. It is much more robust and participative, rapidly resulting in actionable strategy plans that have the “fingerprints” of all key stakeholders from beginning through results realization. In our view, what we refer to as “Strategic Innovation” is more in touch with today’s leadership and management realities – a continuous process that quickly assesses the “Current State” and leverages the knowledge, experience and capabilities of multiple participants – a true reflection of realities of managing in today’s complex healthcare environment. 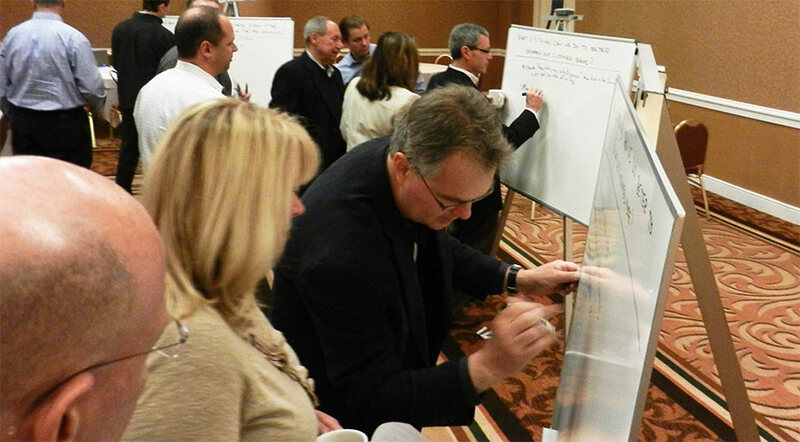 A key element in our Strategic Innovation program is the Strategy Accelerator. The Strategy Accelerator reduces the risk of poor execution by increasing the speed, quality, and durability of business decisions. It is for business leaders who need to act quickly on complex, multidisciplinary issues that have a significant impact on healthcare performance. Unlike time-consuming traditional approaches where input is solicited individually from select participants and synthesized by an outside consultant, the Strategy Accelerator brings together all of your organization’s leaders necessary to work concurrently to a swift conclusion. Because “nobody is as smart as everybody,” the Strategic Accelerator process leverages the knowledge of the group to quickly define competitive environment, frame key strategic issues, isolate potential scenarios and strategic options, and define key strategic goals and milestones over a range of planning horizons. Based on the strategic goals and milestones developed, actionable strategy Plans are developed outlining the specific initiatives that will be undertaken, and responsibility and timing of specific activities that will be pursued to accomplish your goals. The actionable strategy Plans focus on activities that will be accomplished over a rolling 30/60/90-day period, and are reviewed going forward in a monthly group work session to assure timely progress.